Got my first set of Invisalign aligners! It’s really a different feeling having 2 plastic mold in my mouth and I’m still trying to get used to it. Of course, this will get better with time when my tongue ‘learns’ to move around while I have my aligners on. For now, I can’t enunciate certain words without sounding like I have a lisp. Yesterday the cashier at the dinner place asked for our table number and I wanted to say “sixty-six” but it turned out to be “sisthy-sisth” LOL. Not gonna lie. It hurts a lot when I try to remove my aligners. Last night I almost fainted, like FOR REAL. It’s some condition called vasovagal syncope and people have different triggers that cause them to faint. Like some people faint when they see blood, I faint when my body feels too much pain. It doesn’t hurt when I’m wearing them other than when I eat, because that’s when my aligners brush against each other and more pressure is applied. It’s not actually supposed to hurt this much for the first set because usually people don’t get attachments (those little balls of plastic) for their first set. They’d usually start having attachments with the 3rd set and it’s often 2-6 attachments only. For me, I have 20+ attachments on my first set - which explains the pain! Especially in public, I think I might look like I have Bulimia cus I’m constantly sticking my fingers in my mouth and looking really uncomfortable. Just hoping that it gets easier to remove + wear them over time when my teeth is repositioned to fit well into the aligners! Of course, compared to braces where you’ve to stay away from certain foods that can get stuck in your teeth, I don’t have to do that with Invisalign because I can just brush my teeth and wash my aligners any time. Just for records purpose, this is my teeth on Tray 1! I don’t really have much issues with my lower set except it’s not really centralised and they’re not very even. For my upper set, I have a missing tooth on the right if you can spot that ‘fake tooth’ (there was actually a baby tooth but it got extracted) and my two front teeth are not aligned with the rest. I also have a bit of overbite so that’ll also be corrected along the way. The shape is overall more V than I’d like it to be so hopefully it’ll be U-shaped by the end of my Invisalign procedure! 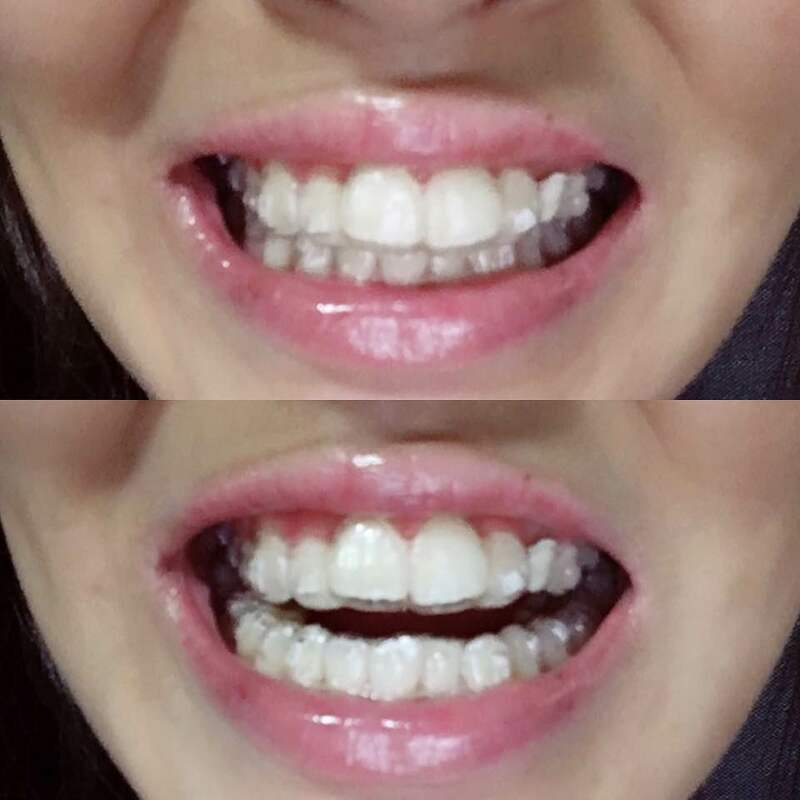 My teeth’s always been a big insecurity of mine and I’m happy that I can now straighten them discreetly 🤭 More updates to come when I switch to Tray 2! kissmypoo Coffee stains the trays real bad 😐 it can be a little gross to look at haha. Deslee HAHAH how did you eat KFC the other day! nellypinkbuttons how much does it cost? brenwho @nellypinkbuttons I’m on Invisalign Lite which costs about $4.5k to $5.5k! itsdyeanne Hi Brenda, hoping I could ask a question! Did you do any extractions before wearing the aligners? Do you know if it’s compulsory? shantalc what's the difference between Invisalign and Invisalign lite? Join our community! Download the app, and get updates from brenwho. Remove this bar by logging in.